I began my early fascination with nanotechnology significantly before my scientific metamorphosis. Circa 1986, I bought a newly published book called “Engines of Creation” by K. Eric Drexler. The book was absolutely groundbreaking in the sense that it laid out an incredible roadmap for a futuristic technology that would allow the manipulation of matter at the nanometer scale (one billionth of a meter). The passage in the book that hooked me was a description of a future manufacturing process for jet engines. Instead of today’s assembly line style manufacturing, nanotech manufacturing was described as being so different it was surreal. Imagine a big vat supplied with all the raw materials that constitute a jet engine. Add to that a mixture of nanoscale assemblers (robots that can manipulate matter on a molecular level) and the jet engine would literally “grow” out of the vat. The end product would be indistinguishable from a conventionally produced engine. In fact, the nanotech grown engine would be much better because there would be no seams or joints or flaws as with mechanical parts. Instead, the entire engine would be one, big single lump of matter, perfectly functioning as a jet engine. Wild, incredible! Rewind nearly 30 years, and it was Caltech physicist Richard Feynman who gave a lecture for the American Physical Society in 1959 entitled “There’s Plenty of Room at the Bottom.” This talk paved the way for consideration of the prospects of nanotechnology. And it was Drexler’s popular science book nearly 30 years later that provided the ideas and concepts to bring forth a new scientific revolution. Reading Drexler’s book, I was captivated by the prospects of molecular level assemblers, computer controlled machines that could alter matter, and disassemblers that could deconstruct matter at the molecular level. The book included so many exciting applications of nanotech: manufacturing, medicine, clean energy, and even creating a better tennis ball. Responsibly, the book also examined the downside of being able to manipulate matter in this way. Think of the horrific weapons that could be built by rogue organizations. It’s been nearly 25 years since Drexler’s vision came in print, and nanotech is quickly becoming something real. Baby steps can be used to describe the progress made in the field thus far, but you’ve got to lay a foundation for a science that could change the world in so many fundamental ways. Nanotech is a new field that draws upon classical physics, chemistry, biology, biochemistry, materials science, and engineering. It is pervasive by any stretch of the imagination. Consider a future where inside our bodies, microscopic machines one billionth of a meter in size, hunt and kill cancer cells and regrow flesh and bone. They also may clean oil spills, make sea water potable, fabricate clothing, and be used in electronics, agriculture, cosmetics, and pharmaceuticals. Imagine a graffiti-free future where walls are treated with nanotech paint that automatically senses spray paint and disassembles the paint molecules in a few minutes time to expose a clean wall once again. 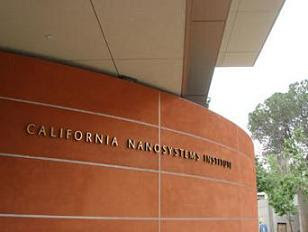 The California NanoSystems Institute (CNSI) located on the UCLA campus (see attached image) is a perfect example of the effort to make nanotech into something real. Opened December 2007, CNSI is one of only three nanotech centers in the country. The research is real, and so is the steady progress. The nanotech revolution has already started and it’s not going away. The best thing to do is keep up with the progress. I think nanotech would be an excellent major field of study for any science-oriented freshman just starting out in college. You really Are a science enthusiast, it makes me exhausted just reading about everything you do. This post is great! Nanotech has indeed so many different directions to evolve to it's really scary.